Moving home can take months of planning and preparation – sometimes more. You want everything to go as smoothly as possible, and you want to be able to settle into your new home easily. You don’t want to feel like you’re living in a foreign, unfamiliar environment for too long. However, many people spend so long planning their actual move, that they don’t think about how they are going to unpack. You should make sure you also consider how you’re going to unpack your belongings successfully and quickly so you can settle in your new home. 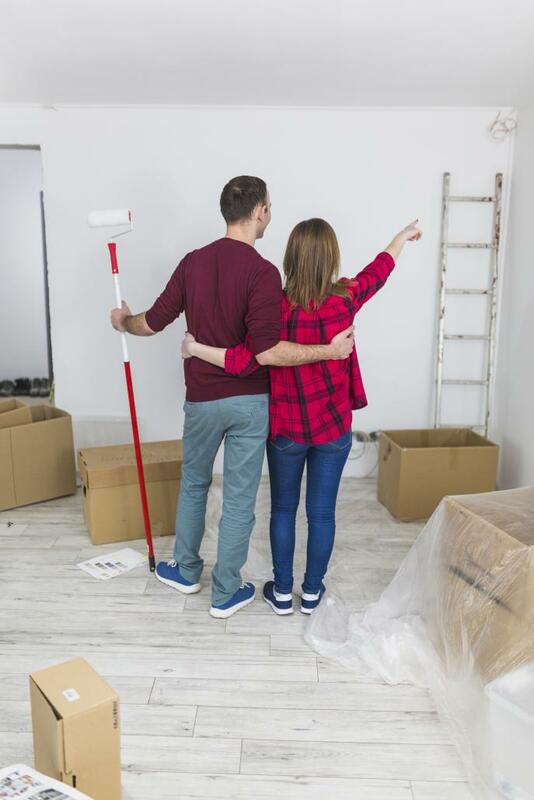 Planning the move is important, but so is planning the part where you settle into your new home! You should have lots of time free if you’re going to tackle the gargantuan task of unpacking your life into your new property. Book plenty of time off work so that you can unpack and get everything sorted in a decent amount of time. You might want to ask for a week off work, and find a babysitter for the kids so you can get everything done. If you don’t want to have time off work, which is understandable if you’ve landed a new job, you’ll need to set a solid schedule in place to get things done. Make sure you know which rooms you’re going to tackle first, and come to an agreement on who is going to do what. If your kids are too young to really help, you should still try to find them a sitter or ensure they will be able to stay occupied with something while you work. Consider giving them a few books, a toy, and even a tablet to watch programs on. If they are old enough to do smaller jobs, make sure you get them involved! It’ll give everybody a sense of ownership and responsibility about the new house, and you should all bond over the work you’re putting in together. Sometimes, kids thrive when they have a little more control and responsibility, and if they had any stresses or reservations about moving before, doing this together can help. Don’t forget to create an inventory list before you move either, as you will be able to tick things off as you go along and have total peace of mind that you’ve brought everything you needed with you. Create this in advance to ensure everything has been included and that you haven’t forgotten anything. You can find pre-made inventory lists online and edit them, add to them, or take things away from them as you see fit. Unpacking one room at a time is a great rule to stick to. It’s much better to have one room complete, than having three rooms only half done. Having rooms half done will likely only stress you out. It’s usually best if you choose the rooms you’ll be spending the most time in to tackle first. In the evenings, you can take the time to focus on the bedrooms. Each family member can focus on their own room and get acquainted with the space. This is especially important for children and teens who may need this time to feel more at home and comfortable in their newly assigned space. But which room should you unpack first during the daytime? The kitchen is a good call, as it is the most complicated and often the most important in making your family life feel structured. The faster you have everything sorted in the kitchen, the faster you can start cooking healthy meals and avoid spending a bomb on takeout. Get all of your appliances big and small hooked up, and fill up your cupboards with any items you have brought with you. Hopefully you will have brought the essentials or know where to get them, such as bread, coffee, tea, cereal, and so on. Once you’ve completed the kitchen, you can move on to the bathroom. Unpacking all of your medication and similar items should be one of your priorities – you may want to include these items in your essential box because of this. Then you can finally move on to your lounge/family areas, and utility areas. More tips on these rooms later on. Hopefully, you’ll already have planned to pack each family member an essential box. This is a box that should be the first to unpack for each member of the family. In many cases, families in the moving process choose to keep their essential boxes with them throughout the move, rather than leaving them with the movers and all of their other belongings. Why? It’ll make the first few nights in your new place much easier! You can include items in here such as comforting toys for the kids, toiletry items, chargers, coffee, and so on. Anything you deem to be essential, or something you will want to grab fast can be included in the box. You can make sure you easily identify these boxes by attaching a ribbon or something to them if you do decide to have them with the rest of your belongings. Top tip: in your essential boxes, include linen sets and anything else you might like to have on your bed. You’ll be able to make up your beds quickly so they are perfectly comfortable and ensure a great night’s rest this way! You need to be smart about your packing process if you’re going to have a good time unpacking. Pack only items from one room in one box. Don’t mix them together. So, you should only have kitchen items in a box together, not kitchen items and bathroom items mixed up. This will make it so much easier to unpack, and you won’t need to root around for items, providing you have titled the boxes so you know what is supposed to go where. Use a label maker or a clear sharpie/marker to write in big letters where each box belongs. Interstate removalists tend to be pretty good if you use them for your move. They will help you to pack and unpack so the job is stress-free and your items arrive in one piece. You can’t really put a price on your peace of mind! It’s all too easy to procrastinate when it comes to unpacking, however, this can add so much time on to the job. Never tell yourself you’ll do something later, as the time you spent thinking and contemplating could have just been spent doing the job. You might also build the job up in your head into something much bigger than it is. The more you do this, the harder it is to get started on. As a rule, if it’ll take you less than 5 minutes, you should do it. Just get started. That being said, different methods of working will work for different people. Some people like to get the big jobs out of the way first, so that the smaller jobs seem much easier in comparison. However, those that do lots of smaller jobs first find that it helps them to build momentum and ‘get into the zone.’ You need to find a way of working that suits you, but whatever you do, don’t procrastinate. Put some music on and get the job done! Things like TVs, laptops, computers, tablets, and other gadgets should be unpacked last. If these things are out and available, they give everybody the perfect reason to procrastinate. They are far too distracting and it will not help you to get them out first at all. Don’t think you’ll be able to put your favorite TV show on in the background and still get everything done, because chances are, you won’t. You’ll just watch it, or completely slow down. Music is fine, but messing around with your gadgets is not. Put them somewhere safe and keep them out of the way until you are ready for them. You can use the idea of a good film or your favorite TV show to reward yourself at the end of a hard day unpacking. You probably had a clear out of items before you packed up, but you might find that this is a good time to do another one. If you find yourself unpacking items and wondering what you can do with them, it might be time to get rid of them. Maybe you can donate them or see if any of your neighbors want them. Make like Marie Kondo and be vigilant about the items that really give you joy so you can create a place to live that brings you nothing but happiness. If you can get your hands on floor plan sketches before you move, you will be able to easily consider where to put each item of furniture. If not, you’ll have to do it when you arrive. Place the most important pieces first, such as three piece sofas, and then you can decide where things like bookcases and entertainment centres will go. Whatever you do, don’t assemble large, heavy items until you’re sure they’re going to stay where you put them. The last areas you should be unpacking are your utility areas; areas like the garage, basement, and other utility rooms. Many of the items you place here are non-essentials, so try to organize the space before you begin to unpack. Ensure you unpack things that will help you to keep your home functional, such as utility shelving units and storage containers. You can also do the patio, deck, or landscape last. There may be no rush to finish these areas, but if it’s during summer, you may want to ensure you have your grill set up ready. This will help you to cook if it takes you a while longer to set up your kitchen. Unpack your essential boxes first, making sure you can easily find them and that you include the items that will make your lives much easier. You can then take your time with the rest of the house. Plan each room before you begin unpacking all of your boxes. Don’t put off your jobs – line your cabinet shelves, install your closet organizers, and do these things as soon as you can. Procrastination will not set a very good tone for your unpacking. You want to keep up that momentum! Work on making the space your own as you go. By putting up pictures and accessories where you can, you can ensure the place feels more familiar and like home. You should find you have an easier time settling in. Ensure each member of the family participates in the unpacking process. Let your children unpack their own bedrooms so they can become more acquainted with the space. Allow yourself some time to enjoy this new space once you have the essentials in place. Consider planning some fun family activities or even inviting neighbors over. Allow yourselves take out if you’re too tired to cook, and reward ourselves by watching a film or a great show. If you’ve been working hard, you need time to relax and enjoy your new place too! Consider hiring a reliable removalist like Interstate Removals that can help you with packing/unpacking to help you save time and get things finished in the most hassle-free way. Unpacking successfully and quickly requires you to pack intelligently and have a great plan in place before you arrive at your destination. Momentum, a great plan, a great playlist, and teamwork will help you to get the job done most efficiently!